Biography: Arif Zakaria, the Indian actor was born on the 11th of November in the year 1966. He first started acting in the theatre during his college life. Later on he shifted his focus towards film and television. 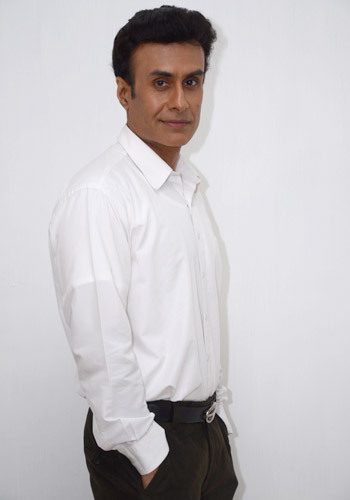 Till now, Arif Zakaria has been seen in numerous television serials such as ‘Campus’, ‘Aarzoo’, ‘Chunauti’, ‘Mrityudand’, ‘Karambhoomi’, ‘Dhund’, ‘Kaali-EK Agnipariksha etc. He had even played diverse roles in various films such as ‘Asambhav’, ‘Darmiyaan’, ‘Dance like a man’. Ever since 2005, Arif has travelled all around the globe with the Australian musical show, ‘Merchants of Bollywood’. With this group he has given performances in countries like Australia, Singapore, Hong Kong, Poland, France, China and Europe. In the year 1998, Arif Zakaria starred in Deepa Mehta’s drama film ‘Earth’, starring Aamir Khan, Nandita Das and Maia Sethna. This movie was based upon a novel written by Bapsi Sidhwa, called ‘Cracking India’. ‘Earth’ was the second film of Mehta’s Elements trilogy. Previous to ‘Earth’ she had directed ‘Fire’ in 1996 and later on in the year 2005 she had also directed ‘Water’. In the year 2003 he signed up for Sudhir Mishra’s ‘Hazaaron Khwaishein Aisi’ starring Chitrangada Singh, Kay Kay Menon, Ram Kapoor, Saurabh Shukla and Shiney Ahuja. In 2004 he appeared in Milan Luthria’s action drama flick, ‘Deewar- Lets Bring Our Heroes Home’. This film was written by Anurag Kashyap and was produced by Gaurang Doshi and the star cast consisted of Amitabh Bachchan, Sanjay Dutt, Akshaye Khanna, Amrita Rao and Aditya Srivastava. This film was based on John Sturges’s, ‘The Great Escape’ (1963). Despite the high expectations, the film failed to create any impact at the Box Office and it was declared to be a flop. In 2004 he starred in Shyam Benegal’s ‘Netaji Subhash Chandra Bose: The Forgotten Hero’ starring Divya Dutta, Sachin Khedekar, Kulbhushan Kharbanda and Rajit Kapur. Here Arif played the role of a character called Major Dhillon. Next up in 2005 he appeared in Sujoy Ghosh’s ‘Home Delivery: Aapko … Ghar Tak’ starring Vivek Oberoi, Boman Irani and Ayesha Takia. This is a film which portrays how incidences of a single day can make somebody change his/her outlook of life forever. In 2010 he appeared in Karan Johar’s ‘My Name is Khan’ starring Shahrukh Khan, Kajol and Jimmy Shergill. Here he played the role of a character called Faisal Rahman. The following year in 2011 Arif appeared in Vikram Bhatt’s ‘Haunted 3D’ starring Achint Kaur, Mahaakshay Chakraborty and Twinkle Bajpai. Here he enacted the role of a ghost which haunts the female protagonist. He was greatly appreciated for his brilliant performance in the film. In 2012 he appeared in Pooja Bhatt’s ‘Jism 2’ starring Sunny Leone, Arunoday Singh and Randeep Hooda. Here he donnec the role of a police inspector called Guru Saldanah. Soon after this film he had also appeared in small roles in films such as ‘Krrish 3’ and ‘Lootera’. One of his upcoming films is a film by Jay Prakkash called ‘Dee Saturday Night’ which would be having Prashant Narayanan, Aman Verma, Amit Dimmi, Mahi Khanduri, Nazneed Patel and Gaurav Dixit, in the cast crew. This film will be hitting the theatre screens on the 21st of February, 2014. He will also be starring in the horror flick by Pavan Kirpalani called ‘Dar @ The Mall’. The film’s cast consists of Arif himself along with Jimmy Shergill, Neeraj Sood, Shradha Kaul, Nushrat Bharucha, Asif Basra and Nivedita Bhattacharya.